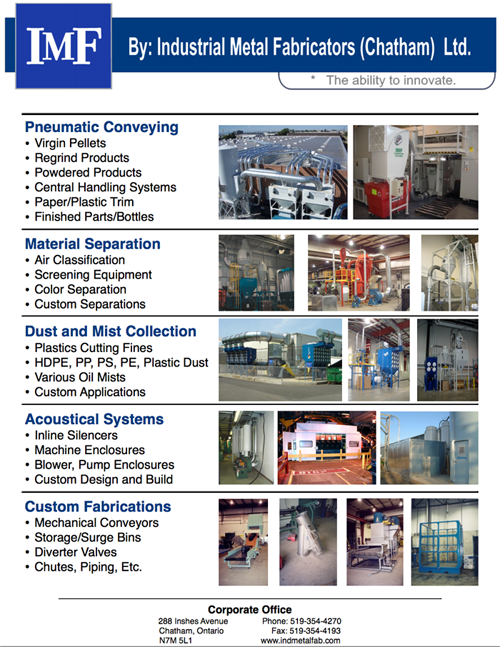 Patented CVS separation system to remove fine dust from plastic process. Multiple CVS units to handle more pounds per hour. 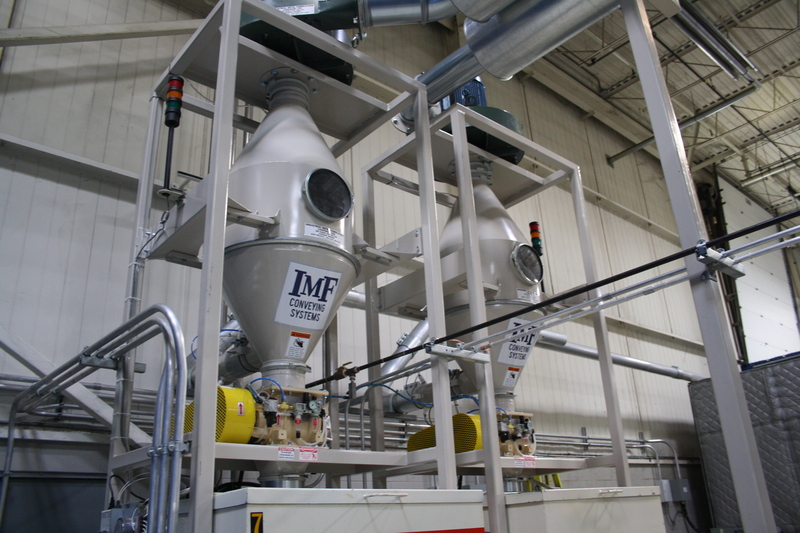 Integrated with IMF built dust collector. Equipped with pneumatic high pressure blower.